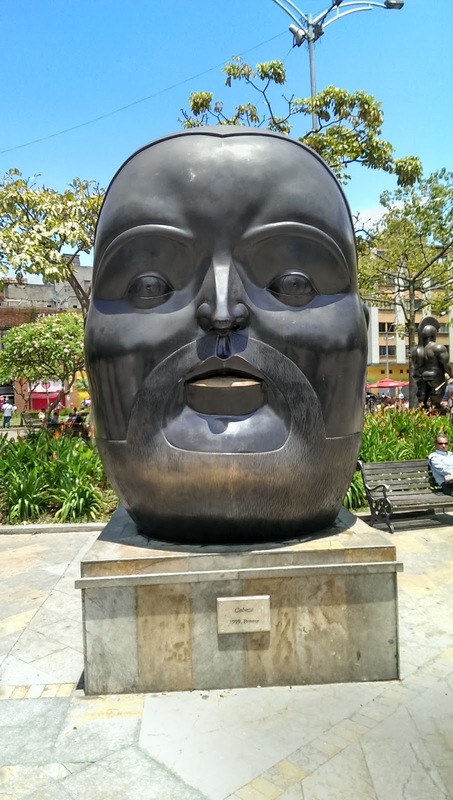 Buenas! I hope everyone back home enjoyed the last of their summer holidays as I know school is started this last week. 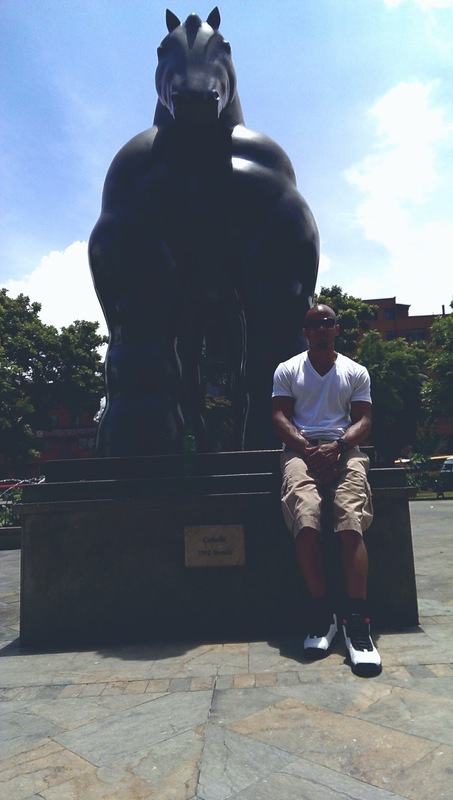 I've been in school for over a month now, but I still feel like I'm on summer holidays... Gotta love Colombia. As mentioned In a previous post, I was in Medellin a few weeks ago for the Feria de los Flores, Or the Festival Of Flowers. 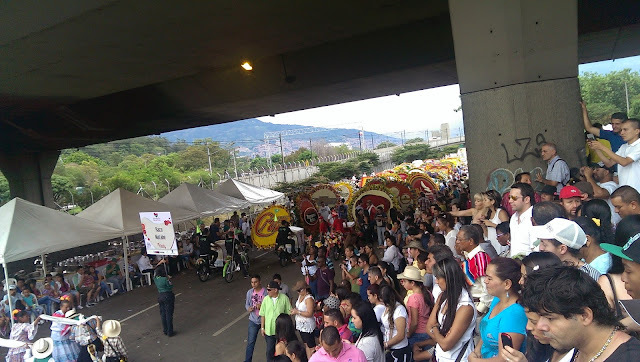 They say this festival is as much apart of Medellin's cultural Identity as 4th of July is in the USA. 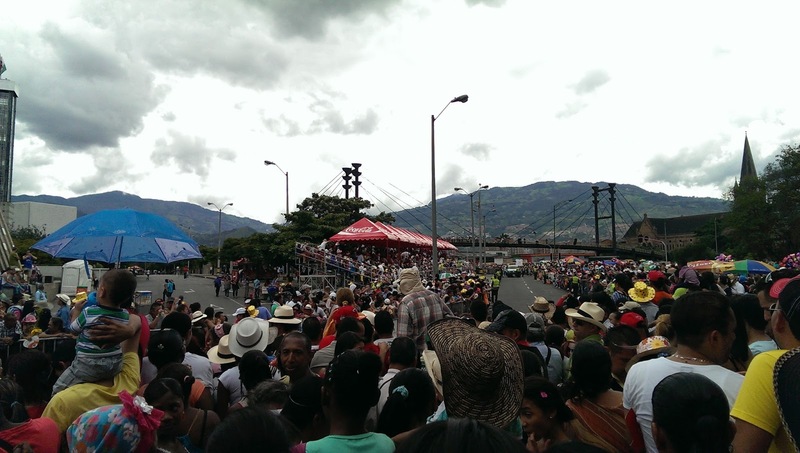 It is over a week long festival that is highlighted by orchid competitions, music festivals and topped off by the parade of silleteros. The parade of silleteros is really a work of art and a show of human determination and creativity. 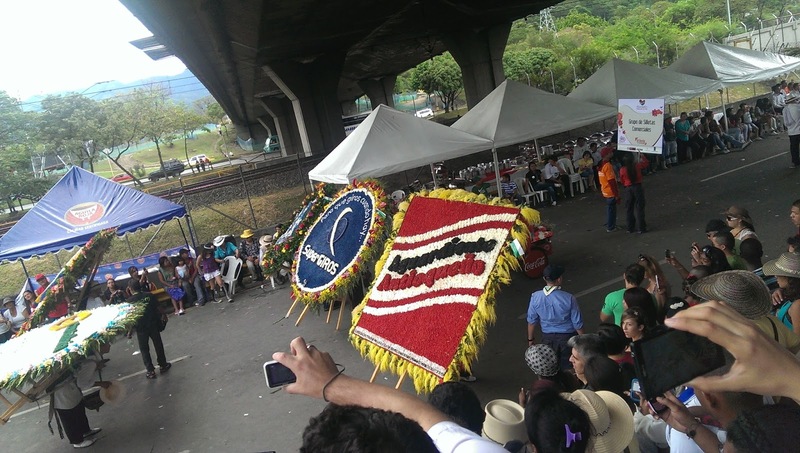 The Silletas are wooden plates that are worn as backpacks which the Silleteros dedicate Non-stop days, or even weeks of decorating this plate that weighs upwards of 150 pounds, stands around 5 feet tall and can contain anywhere between 25-70 different flowers. 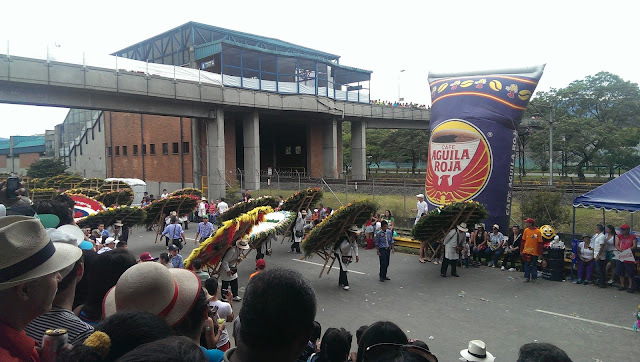 Keep in mind that the Silleteros only means of transportation through the parade is on their 2 feet and the walk is over 2 kilometers long. The legend I heard about how this all started was that the Silletas were traditionally used (by slaves) to carry wealthy people up the Mountains in the province which contains Medellin. Until one day a Lady convinced the regions farmers that the use of Silletas was best suited in the transportation of Flowers from the farms to the cities. And so began the tradition and dedication by the Silleteros to display their culture, history and life stories on their back. 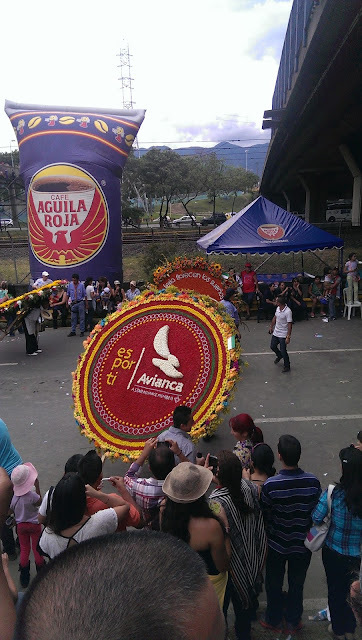 Of course, since it has become such a popular event the major brand and companies in Colombia have hired the Silleteros as a means of advertising as they now don the Company logos made of flowers on these highly customized backpacks. Colombian Time... The Parade Started 2 Hours Late. These Guys Are SERIOUS! I don't know how they do it at that age. Gwado. aka Aguardiente. Never gets you drunk. yess.. I ended up flying Avianca home. 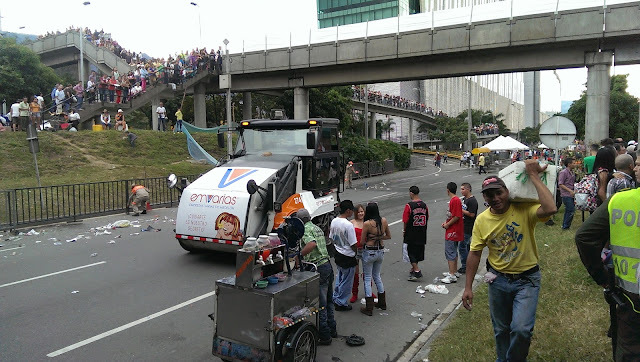 They started cleaning the streets before the parade ended. Gotta Love Medellin.. 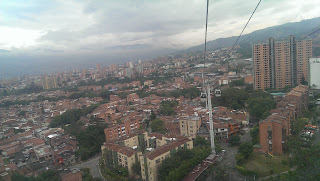 The next thing Colombians mention about Medellin is about how much more advanced it is than the rest of the country. This is something I was aware of because Medellin was in my options of exchange destinations and in my research I found out it had received the worlds most innovative city award for 2013. This is something that has to be witnessed to truly be appreciated. After the hour trip by Flota (shuttle bus) to the City, we arrived at the Metro. From the outside it looks pretty ordinary, but as I walked onto the platform I saw signs in English and Spanish, views of the mountain side which Trumps the Views from the Canada Line in Vancouver, and security guards that guard the platform... From Food and Drinks. At first I was a bit angry I had to chug my fresh Maricuya juice, but then I couldn't find a piece of garbage or mess on the main platform or train which was definitely welcomed. 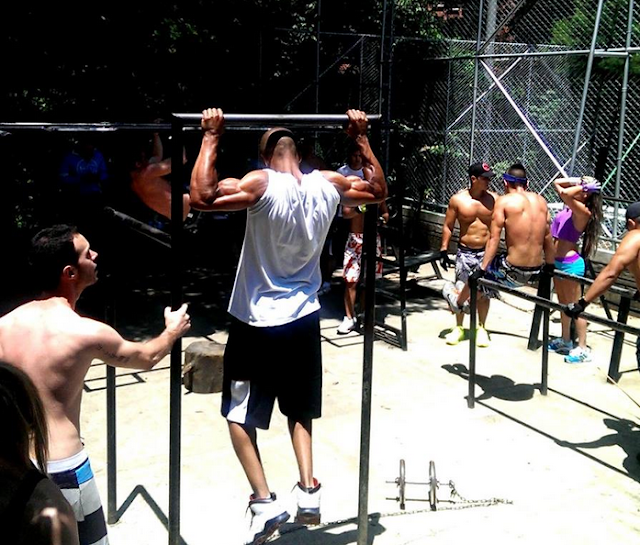 One of the main reasons I liked Medellin is because of all there is to do outside. Most notably for me were the FAT Bronze statues on display in the plaza Botero and the fully equipped outdoor gym. 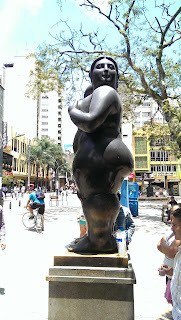 The Fat bronze statues must be the only overweight people I've seen in Colombia! I had to go back a second time because I found the park so enjoyable. 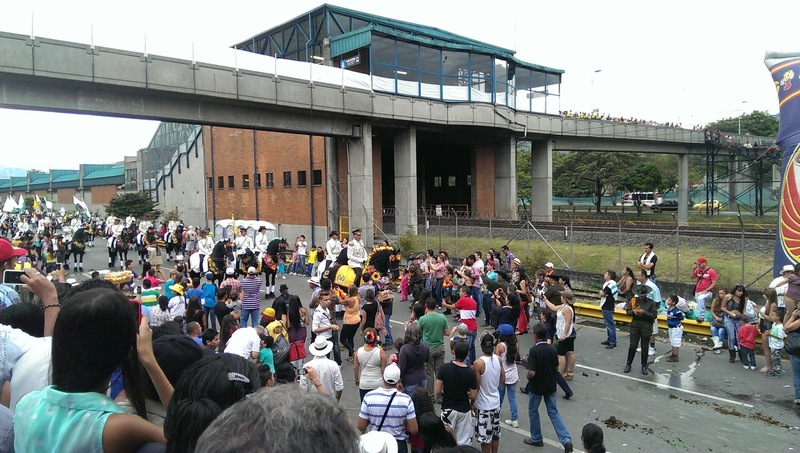 The Train system is just a snippet of what makes the transportation system in Medellin so spectacular. Medellin is a beautiful city located in the Aburra Valley which is completely surrounded by hills. 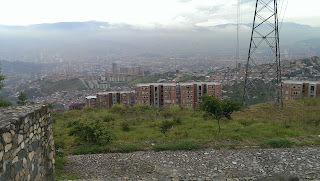 The unfortunate part is that on these hills is where the highly concentrated ghettos or "Comunas" are. The hills are too steep for regular bus transportation which posed a major problem for the workers on their daily commute to work. 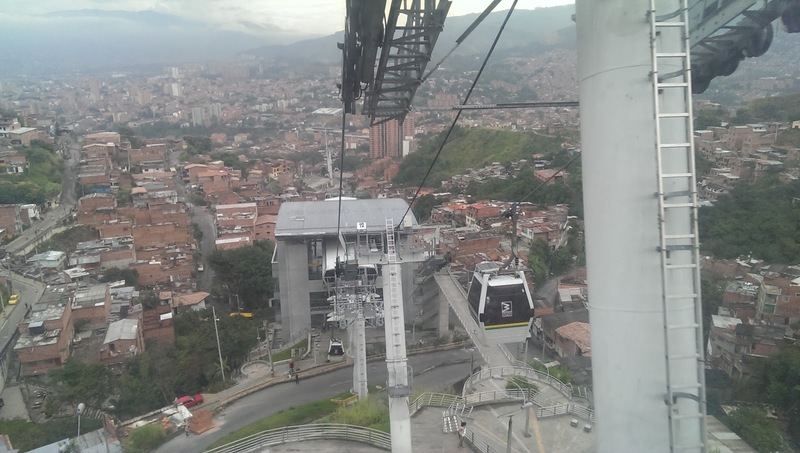 So Medellin, being the Innovative city that it is created a system of cable cars or gondolas as an extension of their regular metro system. With over a 5km route amongst the 3 different lines, the Residents of the Comunas saw their original commute of up to 2.5 hours to the city be cut down to under 10 minutes. The K line which we rode (Back to Back of course) has 4 stations which take you over one hill then up and back down a hill right behind it. I think the best way to imagine the route is picturing the landscape in the shape of a "N" (video below). 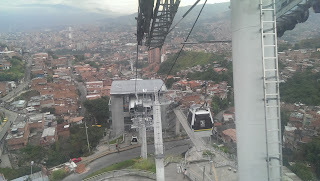 The views from the cable car were amazing and once we arrived at the top we were in a neighborhood which looked over all of Medellin, which we were later told was a really bad idea. I had no clue while I was up there as we were happily greeted by the residence who could spot us as foreigners from a block away (I was with a group of aussies). Directly outside the station we found some amazing chicken pastries and these little slightly sweet fried balls of flour called Bunuelos which are very similar to the Fried dumplings seen mostly in Jamaican Cuisine. One of the most amazing parts about this transportation system is that it only costs one Train fare to get access to the whole Cable car system. 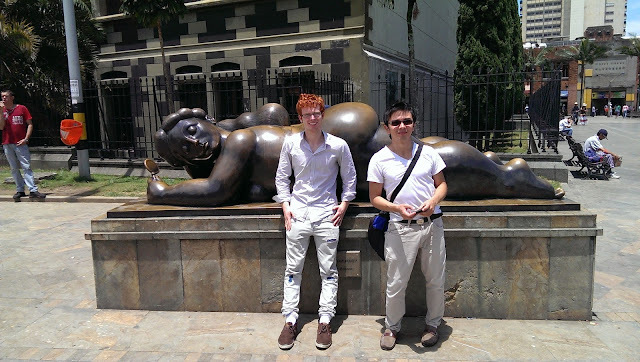 This has got make it one of the cheapest sight seeing tours in the world.